There may come a time in every user's life where an IT professional may need to work on your PC from a remote location. That is where Remote Support comes in to play on our Windows devices. Remote Desktop Protocol (RDP) is something that has been around since Windows XP and continues to be utilized so that users may receive PC support or files between two connected Windows devices. Below will be a detailed explanation on how to enable this feature for your PC in the event you'd need to utilize it. Willingness to learn about this feature! Two Windows PCs with your permission to access. Both PCs can be owned by you on the same network or can be from far away. They don't call it remote for nothing! The IP/Computer name as well as the Username & Password of the PC you want to remotely access. 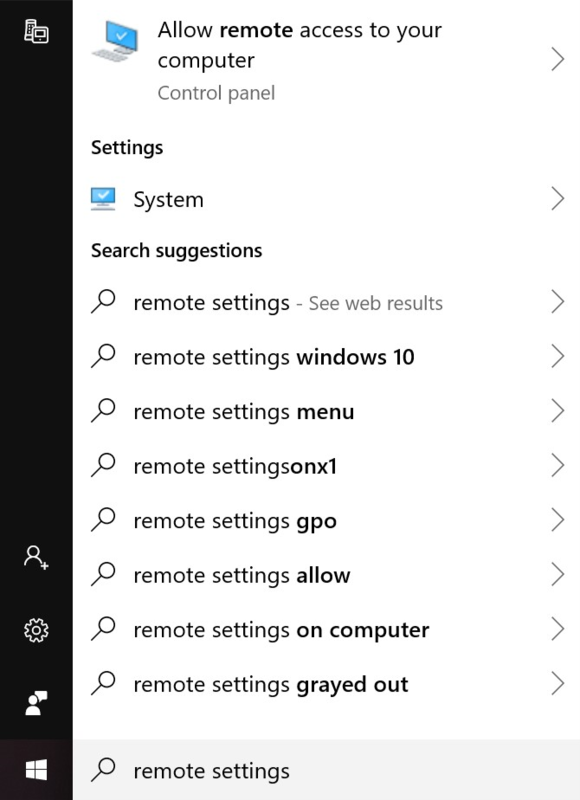 While having the Cortana search box selected, begin typing remote settings into it. 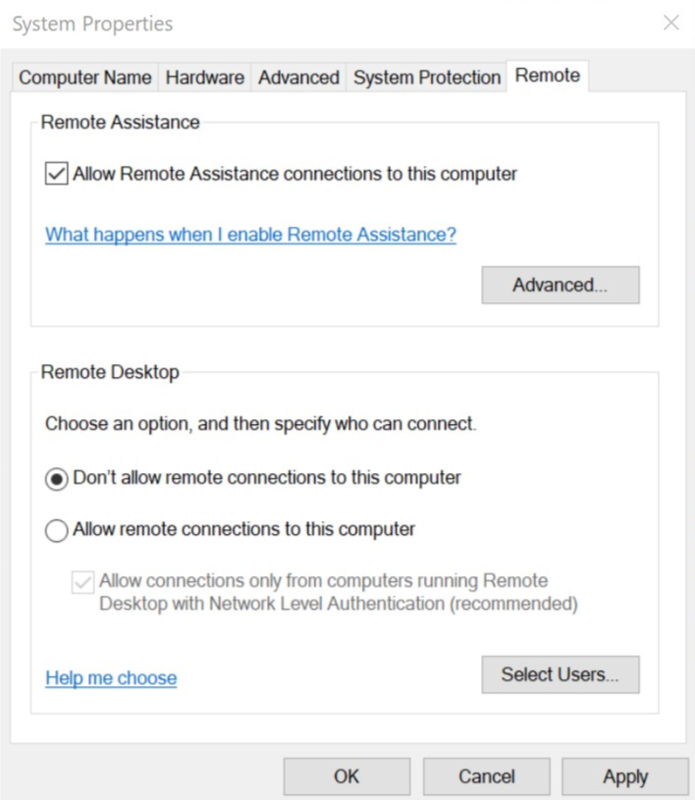 Allow Remote Access to your Computer will come up as an option, select it to have System properties open the Remote Tab. In the Remote Tab, it should look like this before changing the settings. Select Allow Remote Connections to this Computer and keep the box underneath it checked so that you have better security while using the remote feature. Click Apply and then OK to close the System Properties Window. Repeat these steps for the other PC you are attempting to connect to if it is not not yet enabled. To begin connecting to another PC, go back to Cortana and type in Remote Desktop Connection. A selection with the exact name will appear in the results. Click it. 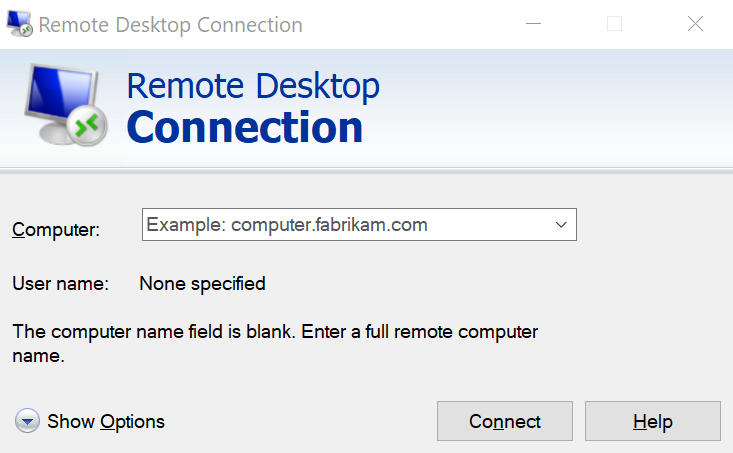 The Remote Desktop Connection window will be small and ask for the name or IP address of the PC you want to connect to. Type in the name of the PC and click Connect to continue. If needed you may change other options such as audio and display size by clicking on the Show Options arrow. You will then be prompted to type the username & password on the PC you are connecting to. Make sure it is the information for the PC you want to access, not your own information. After doing so, you will then be completely connected and a new full screen window will come up with the other PC's screen open and ready to use. After you finish what needs to be done, simply click the X on the top of the window to terminate the connection to that PC. If you want to stop allowing Remote Access to either PC, make sure to follow the steps stated to disallow remote controls. Simple as that! Hopefully this tutorial has helped you to get started with using the Remote Desktop feature on your Windows 10 PC. Getting setup may be simple, but there are make options you may use along the way so that you can truly customize your experience using Remote Support.